Whoever said history was boring, must not have researched very long. I can't tell you how many times I have come across some of the most interesting, random and comical things while researching for a story or article. Since holiday decorating is now in full swing, I thought I'd share one of my favorites. Christmas decorations haven't always been the way they are today. So when I was writing a Christmas story set in the early 1900's, I had to do a little bit of research and see what kinds of decorations were popular at that time period. It was just during the emergence of Christmas lights, so those were yet sparse. But I did run across one method of Christmas decorating that took me completely off guard. Most of us are familiar with the couture and fashions of the holiday season. From the simple and elegant black dress, to the ugly sweaters, to those new holiday outfits that we love to shop for, fashion has been as much a part of Christmas as turkey and eggnog. However, some of these fashions are more...shall we say...interesting, than others. 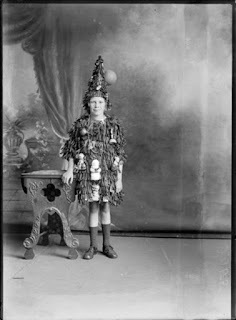 It seems that during this Edwardian, Titanic era, folks had a fascination with dressing up in Christmas tree costumes. 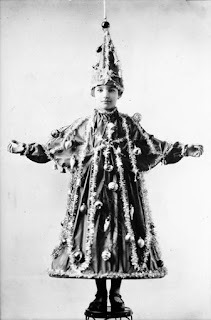 And some of the costumes are very authentic, if nothing else.The Christmas tree during this era had a lot of tinsel and a lot of homemade ornaments. The days of pretty, uniform, professional looking ornaments was not yet upon us, and only businesses or the more astute citizens would have lights on their trees. 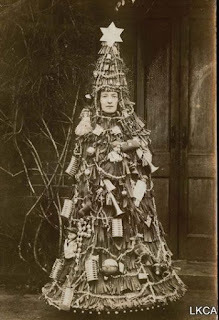 So perhaps the people were seeking a way to make the Christmas tree more exciting and full of life. What better way to do that than to actually BE a Christmas tree?! While I was unable to find any particular reason or history behind this fad, I did find numerous pictures. From children, to full grown women, it seems that people of all ages joined in on the idea. My best guess is this fad was much like the "ugly sweater" contests of today. 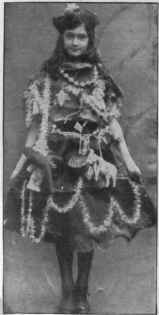 The embarrassment and oddness of the costumes became part of the game, and part of what made it "cool" and festive. 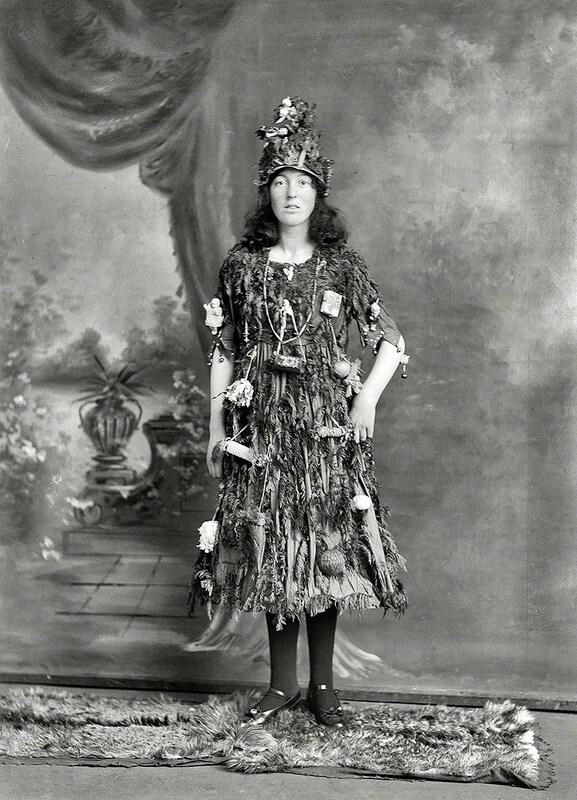 What do you think...would you dress up as a Christmas Tree for your next holiday party? Two-time winner of the Christian Indie Award for historical fiction, Amber Schamel writes riveting stories that bring HIStory to life. She has a passion for travel, history, books and her Savior. 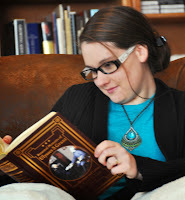 This combination results in what her readers call "historical fiction at its finest". She lives in Colorado and spends half her time volunteering in the Ozarks. Check out Solve by Christmas on Amazon for a great holiday read. Very interesting! Some of those outfits are pretty comical. It would be a fun party theme!!! Haha, it would! Thanks for stopping by, Connie.